Freeze Dried Meals in a Jar provide nutrition, convenience, and long term storage ability to your food storage plan. Boil a pot of water, dump in the ingredients, and viola!, dinner is served in record time. Even if that dinner was made a YEAR ago! What makes Freeze Dried Meals in a Jar so fantastic? Imagine coming home too tired to cook, and the family wanting to eat…..NOW. You boil water. Dump in the contents of the jar. Stir. Viola. It’s dinner baby. It’s way healthier than fast food, AND at about $10.00 a jar for a family of 4, CHEAPER too. You are learning to use your food storage, saving money, creating shelf stable, long lasting meals for your storage, and making your life easier. We aim to please, here at Simply Preparing. These are the ingredients you will add to each mason jar. When making this recipe, you’ll also need to create a roux to thicken the soup. I’ll teach you how to do this below. (SO easy!) But you will NOT add the ingredients for the roux to your mason jar. Individually layer each ingredient into the mason jar. The ingredients listed above are enough for ONE jar of soup. Want to make 12 jars of soup? Times each ingredient by 12! 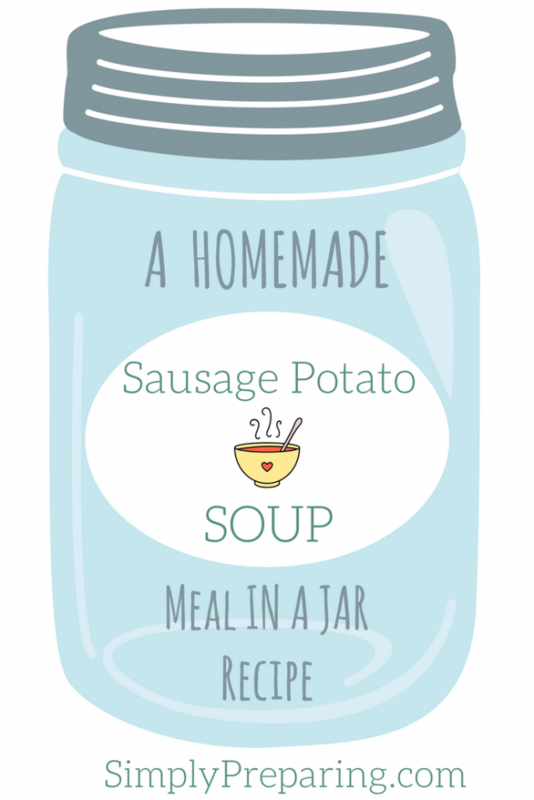 After adding the ingredients for your Sausage Potato Soup to the mason jar , you’ll also need to add an oxygen absorber to each jar or vacuum seal each jar. Personally, I do both. By keeping the air out, you will get least a year’s (if not 5!) storage for this recipe. Bring three quarts of water to a boil. Add the ingredients of your mason jar to the boiling water. While these ingredients simmer, make your thickening sauce. Melt butter in a small pan over a low temperature. Whisk 1/4 C. flour and allow to cook for a minute, whisking constantly. Pour in 1 C. milk. Stir until thick and bubbly. Next, add a bit of your soup liquid to your thickening sauce to thin it out some. Then add everything back into your soup and stir. Allow to simmer for a few minutes before serving with a garnish of Freeze Dried Parmesan Cheese. Devour! 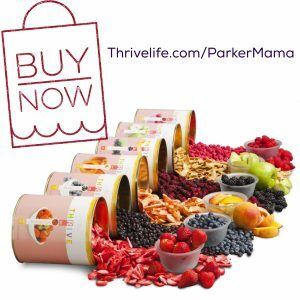 I would love it if you bought using my link so I can grow my food storage as well. Than you! Beans and rice might keep a body and soul together, but they are not going to be able to do much when food fatigue sets in. It is important to stock a variety of foods, especially ingredients for meals that are tried and true family favorites. That’s where Freeze Dried Meals in a Jar come into play. Have you ever created shelf stable freeze dried meals in a jar? What are your family’s favorites? Just dumping everything into boiling water sure sounds easy and convenient. I could use my own dried herbs, too, which is appealing. I love the meals in a jar!